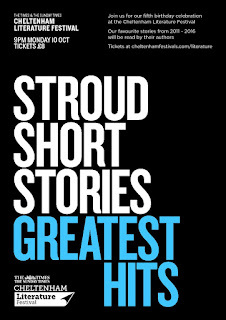 I imagine that you're not quite as excited as I am about Stroud Short Stories appearing at the Cheltenham Literature Festival in October. Frankly, no one could be. Because it's been called 'Greatest Hits' I have had to choose my seven favourite stories from our beginnings in 2011 to the April event this year. That's seven from over a hundred stories read/performed. No easy task - even with the help of SSS founder Bill Jones. I like every story in the anthology - and those read since its publication. Some more than others, of course. And I really love quite a lot of them. But seven had to be chosen for the Monday 10 October LitFest special birthday SSS event (starting at 9pm). Congratulations and many thanks indeed to these authors. I think the evening will have a good balance of serious and nuanced writing and the downright silly - and most things between. I will be creating a programme for the evening, in which I plan to name check every single author who has ever read at SSS. Tickets are £8 (they also charge a transaction fee), and are on sale on the Cheltenham Literature Festival website. Please come along to support us. It would be really great to see you there. 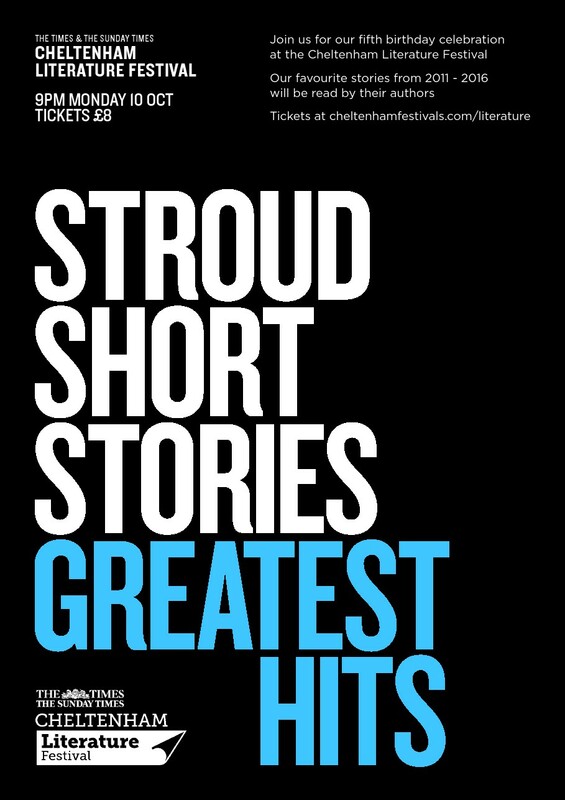 Don't forget too that we are also currently open for submissions to the 13th SSS event back in the SVA in John Street, Stroud on 20 November. Rules and How to Submit here. Info about the judges here.